Green Ink for happier editing? For almost two decades I have used green ink when commenting on documents and for editing. 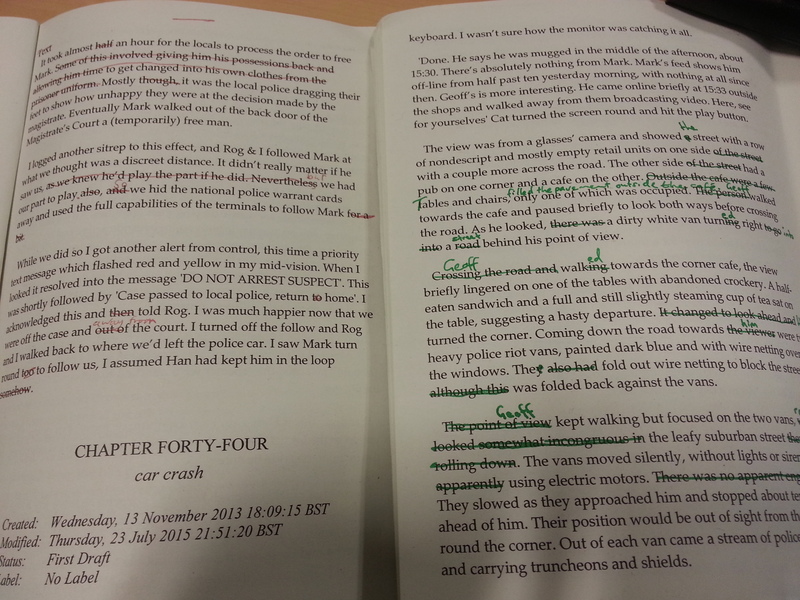 I’ve come to believe that green ink is the best colour for editing for a variety of reasons. Here they are. Traditionally red ink has been used for correcting proofs. Red has a negative connotation, we use it for stop signs and prohibitions. Psychologically red can symbolise the blood from our work, and if there is a lot of red on the page then we get disillusioned and dispirited. So much so that UK civil service core competency framework has “wields the red pen” as an unacceptable trait for senior civil servants. Green Ink carries the opposite connotations to red ink. We use green for go, and for affirming things. So green ink on the page doesn’t carry the same emotional baggage that red ink does. Mostly when you buy pens in a non specialist shop you get a choice of black, blue or red. Lots of people stick to these colours. So they’re normal. Green Ink isn’t normal. Green ink stands out. Very well. This makes it easier to read both the additions and the excisions. Most text is printed back on white. Green Ink is often lighter than the red equivalent and so you can read the original text even when you strike through it. When there are multiple editors it can be easier to spot yours if you’ve used a different colour ink from the others. 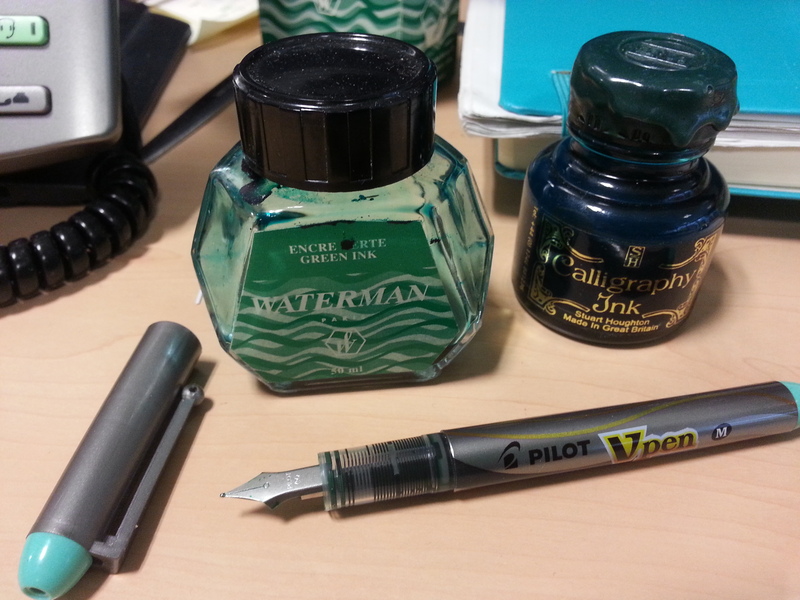 My own journey with green ink was serendipitous. I was part of an internal consultancy and we were separated from the rest of the directorate by an office move. We had no stationery cupboard and in urgent need of fresh pens I found a forgotten box of green Bic biros. We used these for a bit, and in editing and proof reading the unit’s reports we realised that the green ink was friendlier. Since then I’ve stuck to it as much as possible. In HM Treasury accounting guidance there used to be an index entry in the paper version about green ink. On following the reference there was a prohibition on green ink by finance teams as it was reserved for auditors. In the armed forces only officers of General rank are permitted to use green ink. This is largely to ensure that their comments can be clearly identified. I’m uncertain whether this rule also applies within the MOD to its civil servants. How about you? Do you have a colour preference for when you proof read or edit on paper? Disagree with any of this, or have other reasons to support green ink? This entry was posted in themself, writing and tagged Civil service, Editing, Green Ink, Writers Resources, Writing by James. Bookmark the permalink.